“Mommy! 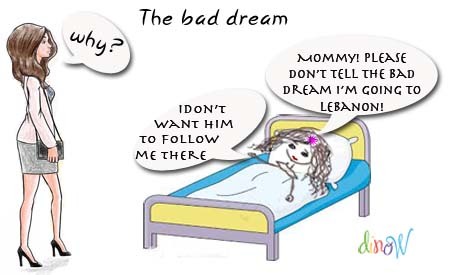 please don ‘t tell the bad dream we’re going to Lebanon”. The kind of sentence that would stop you short on your tracks, put a smile on your face and make your day. You pray you’ll memorize it to tell your daughter later, when she’s an adult, how much you cherished those moments, those words and those expectant, trusting eyes which idolized The Mom and her super powers. We savor those moments of pure bliss and hope to get much more to light up our days.